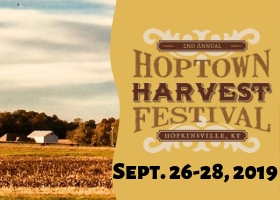 The International Festivals & Events Association (IFEA) paid tribute to Solar Eclipse Hopkinsville with its highest honor Monday night in San Diego during the 63rd Annual IFEA Convention, Expo & Retreat. The highly-coveted Grand Pinnacle Award in the prestigious IFEA/Haas & Wilkerson Pinnacle Awards Competition has four winners in four different levels. 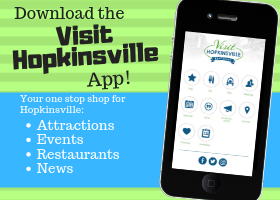 Hopkinsville was recognized as a Level 2 winner, operating within a budget range of $250,000 to $1 million. 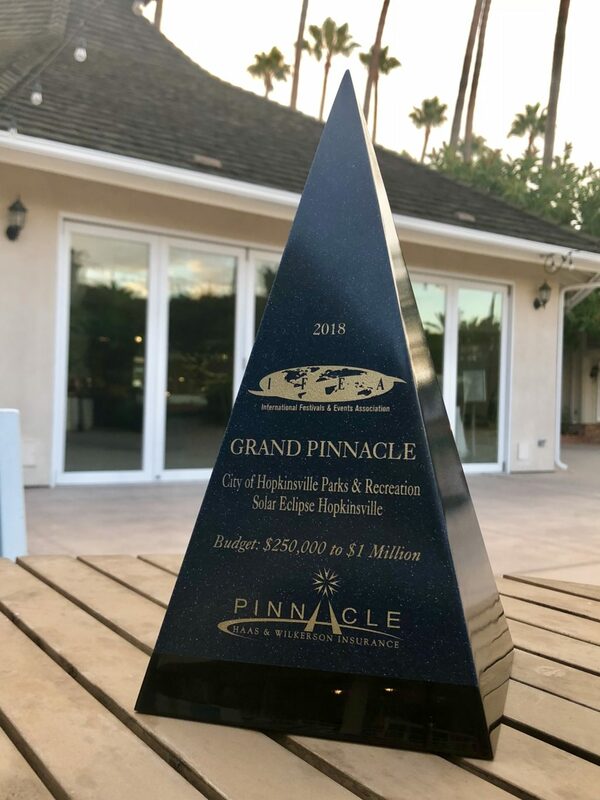 Winners of the Grand Pinnacle Award, chosen among 1,250 submitted entries, are selected based on excellence in creativity, execution, logistics, marketing, emergency management, community outreach and more. Eclipse Marketing and Events Consultant Brooke Jung and Christian County Emergency Management Director Randy Graham were on hand to accept the award.